The Eleventh Circuit has made it clear: it will not back down from its decision in Crawford v. LVNV Funding, a decision it issued in 2014 and one which has been the subject of hot debate ever since. In Crawford, the Eleventh Circuit ruled that the filing of a proof of claim was an attempt to collect a debt and the filing of a proof of claim on time-barred debt violated the FDCPA. Crawford v. LVNV Funding, LLC, 758 F.3d 1254 (11th Cir. 2014). Since Crawford, the debate has raged on with several courts weighing in on the subject. Under one rationale or another, the majority have held that the filing of a proof of claim on a time-barred debt does not give rise to a claim under the FDCPA. 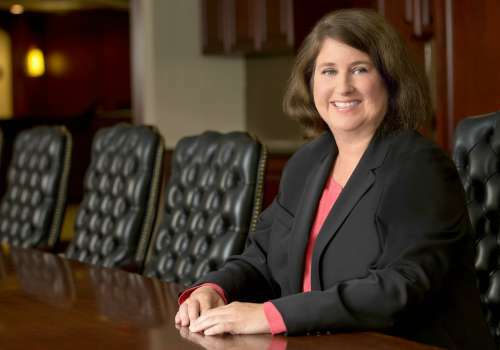 The Eleventh Circuit, however, is sticking to its guns and in a recent decision expanded its position in Crawford but expanded it by addressing the issue left unanswered by Crawford: whether the Bankruptcy Code preempts the FDCPA where the debt collector files a proof of claim on a debt it knows to be time-barred. Johnson v. Midland Funding, LLC, C.A. No. 15-11240, 2016 U.S. App. LEXIS 9478 (11th Cir. May 24, 2016). In Johnson, the Court answered that question in the negative, finding that the Bankruptcy Code does not preempt the FDCPA. Instead, “[t]he FDCPA easily lies over the top of the Code’s regime, so as to provide an additional layer of protection against a particular kind of creditor.” Johnson at *15. In its analysis, the Court found that the Bankruptcy Code and FDCPA “differ in their scopes, goals, and coverage, and can be construed together in a way that allows them to coexist.” Johnson at *13-14. The court concluded that the two statutes could be reconciled because “they provide different protections and reach different actors.” Johnson at *14. While the Bankruptcy Code allows creditors to file proofs of claim even on time-barred debt, it does not require that they do so. While “creditors can file proofs of claim they know to be barred by the relevant statute of limitations, those creditors are not free from all consequences of filing these claims.” Johnson at *10. The court read the statutes together as “providing different tiers of sanctions for creditor misbehavior in bankruptcy.” Johnson at *15 The Court was adamant in that, regardless of the circumstances, if a debt collector, as defined by the FDCPA, “files a proof of claim for a debt that the debt collector knows to be time-barred, that creditor must still face the consequences imposed by the FDCPA for a ‘misleading’ or ‘unfair’ claim.” Johnson at *16. The Court’s decision expands the Eleventh Circuit’s view that the filing of time barred proofs of claim by debt collectors is a FDCPA violation even if the Bankruptcy Code allows the debt collectors to do so. If there is good news to be had from the Eleventh Circuit’s opinion, it is that the court recognized that FDCPA’s bona fide error defense may protect debt collectors who unintentionally or in good faith file time-barred proofs of claim. Those playing in the debt buyer space should continue to watch for developments on this issue as there is a growing divide in the circuits. See, e.g., Simmons v. Roundup Funding, LLC, 622 F.3d 93 (2d Cir. 2010); Garfield v. Ocwen Loan Servicing, 811 F.3d 86 (3d Cir. 2016); Simon v. FIA Card Servs., 732 F.3d 259 (3d Cir. 2013); Covert v. LVNV Funding, 779 F.3d 248 (4th Cir. 2015); Gatewood v. CP Medical, LLC, Case No. 15-6008 (8th Cir. Jul. 10, 2015); Walls v. Wells Fargo Bank, N.A., 276 F. 3d 502 (2002). While the Supreme Court denied certiorari in Crawford, the broader holding in Johnson and the split in the circuits make it more likely that the Supreme Court will address this issue on the next appeal.